To serve its rapidly growing international customer base, Boots UK needed a way to offload the delivery of dynamically generated (but non consumer-specific) content. Boots turned to Fastly for full-page caching and the ability to tailor the boots.com shopping experience to customers based on geographic location and user agent. 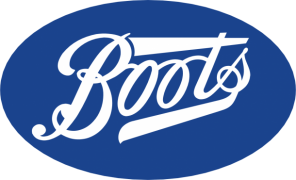 Boots UK (boots.com), the UK’s largest pharmacy-led health and beauty retailer, is part of the Retail Pharmacy International Division of Walgreens Boots Alliance, Inc. (Nasdaq: WBA), the first global pharmacy-led, health and wellbeing enterprise. With 2,511* stores in the UK, Boots UK is committed to providing exceptional customer and patient care and to being the first choice for pharmacy and healthcare. They offer innovative “only at Boots” exclusive products such as the UK’s leading skincare brand No7, which are delivered with the great value customers love. Created over 165 years ago, the Boots brand is still at the heart of the communities it serves. Boots customers can shop on boots.com or discover health information on Boots.WebMD.com. Founded in 1849, Boots now offers omni-channel shopping, integrating its “click and collect” service with its store portfolio, allowing customers the convenience of roughly 2,500 pick up points. 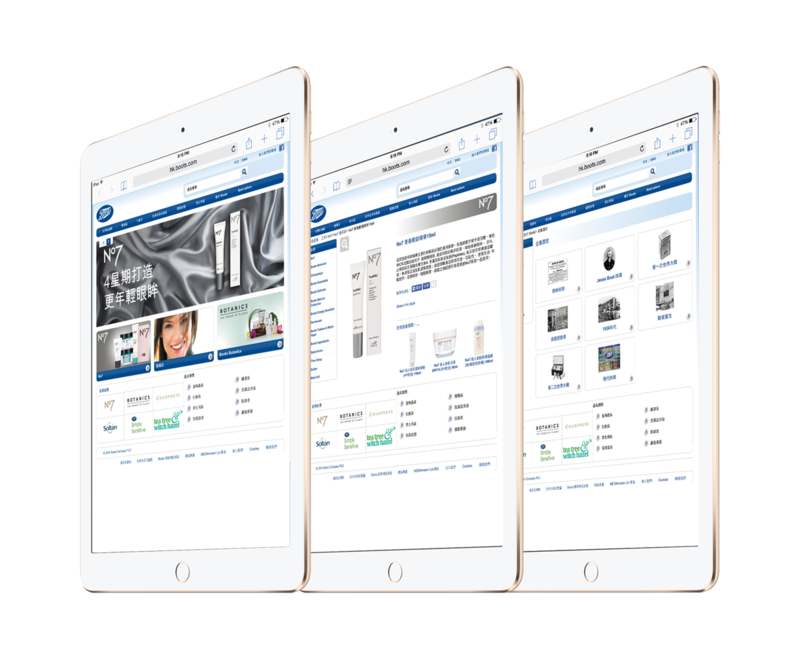 Approximately two thirds of online orders are collected in store, many driving repeat transactions in store when customers come to collect. Varnish, the state-of-the-art web accelerator at the heart of Fastly’s content delivery network (CDN), gives Boots complete control over how its content is served. Fastly’s heavily customized version of Varnish is optimized for large-scale deployments, and uses a distributed system that synchronizes purges across all global caches, in real time. Fastly’s Instant Purge functionality has proved crucial for Boots, allowing the business to target specific objects and purge them immediately. This gives Boots the flexibility to update items on boots.com as necessary, reacting to events in real time. Using Custom Varnish Configuration Language (VCL), boots.com can update their CDN configuration in real time, on their own, without having to engage support. Custom VCL also allows Boots to tailor a user’s visit to boots.com depending on their geographic location. Using GeoIP Detection — an edge module enabled through Fastly’s Custom VCL — Boots can quickly identify where user requests are coming from. Boots uses GeoIP to help shoppers across the world find the Boots site that best fits their needs. 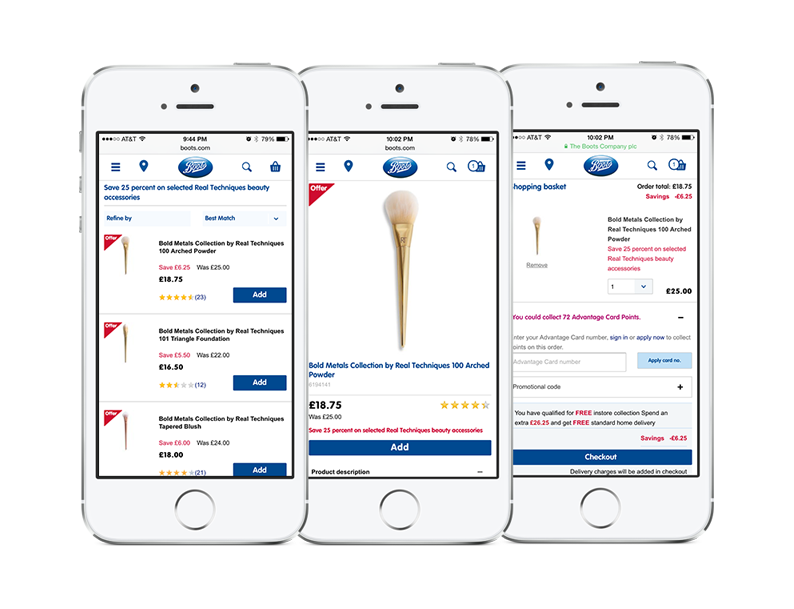 With 40 percent of visitors to boots.com coming from mobile devices, it’s important for Boots to provide a high quality mobile experience. Fastly allows Boots to detect how customers are accessing boots.com, directing them to either the mobile or desktop site depending on the device. Using Custom VCL, Boots can identify devices via the HTTP header — when the header matches a mobile device, those users are diverted to m.boots.com. 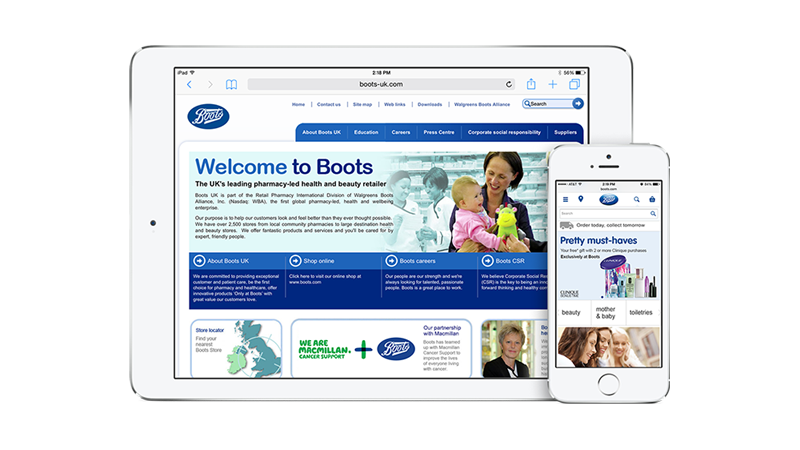 As the global presence of Boots continues to grow, mobile site personalization is integral to broadening the company’s reach into emerging markets. Boots UK experienced record levels of holiday traffic in 2014. Fastly acts as a buffer, protecting their origin during high-traffic events while ensuring shopper satisfaction. The extra layer of protection that Fastly provides has helped Boots scale their operations by allowing them to serve more content from the edge, reducing the number of requests hitting their origin. Fastly offloads this traffic and allows Boots to cache at various levels of their application, giving them the opportunity to evaluate how and when to build out infrastructure to accommodate growth. Fastly’s Analytics Dashboard lets Boots monitor performance in real time and view historical stats to inform site health over time. Through the Dashboard, Boots can monitor percentage of requests per second, a global traffic profile, hit ratio, and errors — insights which are useful during high-traffic events. Monitoring traffic during these events gives Boots the opportunity to address any issues as they happen. When Boots was getting started with Fastly, they found Fastly documentation useful and informative, allowing them to get up and running without needing to engage an account representative. When Boots does need support, they find the Fastly team helpful and responsive. They have ready access to the engineers who built Fastly, who offer the Boots team as much coaching and guidance as they need.